Dr. Tatyana Yakovleva brings her 20 years of experiences to a wide range of treatments for the back from an improvement of posture to deep correction of scoliosis and disk herniation. AmitaUSA is located in Brooklyn, New York and provides the most effective homeopathic approach to treat their patients. It is important for us to bring our patients the result, not harm their health and prove that non-traditional medicine is an effective and alternative treatment method without side effects. 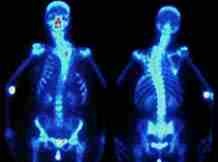 Spine and joints disorder treatment in New York at AmitaUSA brings a unique treatment approach with the mix of acupuncture, acupressure and cupping techniques, together with medications based exclusively on homeopathic basis. Improvement of posture: Improper posture is a consequence of the inability of the back muscles to adequately hold the weight of the body in an optimal position. Inadequate participation of one, two, or three muscles in the process of gait control can lead to very visible changes. The nervous system receives information about the position of the body, the level of tension in each muscle, and the involvement of the joints from myriads of receptors. The failure of the nervous system to appropriately control the gait can result from any process that interferes with the usual function of the receptors: a repetitive, uncomfortable working position, stomach aches, past trauma, etc. The traditional approach to gait correction has been to force muscles to hold the correct pose through bracing and exercise. Dr. Yakovleva offers a radical new approach to find the source of the issue and rehabilitate the exact neuro-muscular cluster that is failing to participate. The effect is usually visible even after the first session. 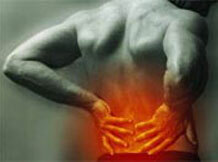 Back and joint discomfort and pain: Disorders of the spine and joints are very common. Unfortunately, the current chiropractic approach to treatment of such disorders is not consistently effective, especially for difficult cases. What often results is that the pain eases in the short term as the joints gain mobility, but becomes dull and chronic in the long term, as the stress that caused the original problem has not been eliminated. In many cases, back and joint discomfort is not simply a musculoskeletal issue, but rather a manifestation of infection, disease of internal organs, or other health problems. In these cases, solely musculoskeletal treatment is ineffective and the lack of attention to the source of problem can lead to devastating consequences. Dr. Yakovleva provides a holistic approach to treatment, starting with a thorough evaluation of the possible sources of discomfort and pain. She then identifies what treatments would be best suited to address the issue, using techniques such as acupuncture, Micro-Current therapy, homeopathy, phytotherapy, cupping, and specialty ointments in combination with massage and deep tissue adjustment. Scoliosis and disk herniation: severe back pain and low back pain is frequently due to scoliosis and spinal disk herniation. These are serious disorders that interfere with the lifestyle of patients and can lead to decreased mobility, urinary irregularity, erectile dysfunction, and, in some patients, permanent disability. The traditional treatment approach in these cases is surgical. Like many surgical procedures, correction of scoliosis and disk herniation carries significant risks and needs to be followed by a long period of professional rehabilitation. External and internal scarring is typical, as is decreased mobility in the torso. Additionally, surgery is not always successful in the long run--new herniations can form on the adjacent segments of the spine. Dr. Yakovleva’s non-invasive treatment is tailored to each patient and their unique medical history and therapeutic needs. A recommended course of treatment is 5 to 12 sessions. This therapy is intensive; therefore, rest intervals of 3 days to 3 months are recommended between sessions.